Our native-speaking translators in 180 languages have specialized training and experience translating technical medical content. They are supported by our seasoned translation project managers and production staff.  ILS utilizes an ISO 9001:2015-certified quality process that is continuously updated, along with state-of-the-art translation project management software and translation memory technology, to produce accurate and consistent translations. Translations are localized to the cultural norms of your target audience as a standard part of our process. Efficiency, accuracy, formatting to match your corporate standards, and on-time delivery are high priorities for every project. Oxygen Concentrators—Documentation for these devices, which are often used in home oxygen therapy, includes IFUs that must be written for easy understanding by consumers. ILS will match the tone of your translations to mirror that of your original source communication. Liquid Oxygen Delivery Systems—ILS provides accurate translations for all materials associated with these devices and their peripheral equipment in the language of any global market where they are used. Institutional Oxygen Delivery Systems—A wide variety of central oxygen distribution systems and associated equipment requires accurate translation of documentation to ensure proper use. ILS will ensure that your message is consistently communicated across all of the languages you need. CPAP and BiPAP Devices—Used to treat sleep apnea and other respiratory disorders, patient-oriented IFUs must be translated using language that is understandable and clear. Supplies, too, must be properly labeled in your target languages. Respiratory Ventilators—Today’s ventilation devices, used in many healthcare settings, include LCD and other display interface content, which requires translation to meet your target language requirements, along with other documentation. ILS will employ best practices to ensure consistent translations of all your communications. Respiratory Monitoring Devices—For both hospital use and home use by patients, a wide range of respiratory monitoring equipment is currently in use in all global markets. Manufacturers need accurate translations for each market in which their product is sold. Anesthesiology Respiratory Devices—From anesthesia machines and anesthetic gas monitors to vaporizers and specialized ventilators, the translation needs for this equipment are readily handled by our medical device translators. ILS will accurately translate your content, including your industry-specific technical terminology. Other Respiratory Devices—For needs ranging from labeling for disposable items used in respiratory therapy to sensors, intubation supplies, and other respiratory medical equipment, accurate translations for all documentation is essential to protect your company from liability and ensure your success. At ILS, our 35+ years of providing translation services for the medical device industry has given our translation team vital experience in all areas of this highly technical translation specialty. Our focus on quality, efficiency, and accuracy, along with our seasoned translators and project managers, ensures on-schedule delivery of top-quality, fully formatted translated documentation at highly competitive pricing. Through long-term relationships with our clients, we are able to minimize your costs over time.